Walmart’s human resource management approaches for compensation and career development are centered on minimizing costs. For instance, as part of the cost leadership generic strategy, the company always aims to minimize spending for human resources. As such, Walmart’s human resource management is focused on ensuring that its compensation packages are minimized, but not to the point that it compromises performance. The company also has career development strategies that aim to minimize turnover by maximizing the level of fit between employees and their jobs. These human resource management considerations are of critical importance in ensuring that Walmart’s employees are always sufficient in supporting the company’s continued global growth. Individual-Organization Matching. Walmart uses direct and indirect methods in evaluating individual-organization match. The human resource management goal is to ensure that every employee fits his job and the organization. In the direct method, Walmart collects information from employees regarding their perceptions about the company. Such information represents employees’ point of view about the appropriateness of their jobs and Walmart’s strategies. This method is typically applied per Walmart store. The company relies mainly on the direct method for individual-organization matching. On the other hand, the indirect method involving organizational variables as indicators of person-organization fit is less significant in Walmart’s efforts to match employees to their jobs and the organization. The human resource management goal of using the indirect method is to determine the overall person-organization match throughout the global organization of Walmart. Still, the direct method is more readily applied because it is easier to implement, such as through the involvement of store managers. One of Walmart’s human resource management goals is to identify available career opportunities in the organization. This identification process includes using job analysis results, which indicate the requirements for jobs and career paths within Walmart’s organization. To ensure that employees match these opportunities, the company uses employee selection criteria, employee interests and KSAs to evaluate the level of person-job fit between employees and the available opportunities. In this way, Walmart’s human resource management ensures that employees are on the right career path in the company, while minimizing turnover among promoted workers. The identified employee-career matches are used as one of the bases for promoting employees to higher positions in Walmart’s corporate ladder. Employee knowledge, skills and abilities are basic criteria for assessing employees’ potential at Walmart. The human resource management objective is to ascertain what the employee is capable of doing. This information is used to support career development. Walmart has comprehensive information about employees’ KSAs based on recruitment documents and other records. In relation, the company uses the results of performance appraisals to assess employee potential. The human resource management objective in using performance appraisal results is to determine the employee’s current capabilities and performance level. With these criteria for assessment of employee potential, Walmart also emphasizes leadership potential. The human resource management objective in this aspect is to support leadership development within the company. This aspect relates with the fact that about 70% of Walmart’s managers started as hourly sales employees with leadership potential. Coaching is typically used in leadership positions, although it also applies to other positions in the organization. Walmart’s human resource management objective in using coaching is to facilitate the sharing of leadership insights and ideas. For example, senior managers coach junior managers to improve management and leadership capabilities. Coaching also improves managers’ and supervisors’ morale and perception about Walmart. On the other hand, training is a standard approach that addresses the human resource management goal of developing the careers of employees. At Walmart, different job types and different levels in the organizational structure have their respective training programs. These training programs are designed to maximize performance. At the same time, the programs develop employees’ knowledge, skills and abilities that are specific to certain career paths in the retail business. For example, a Walmart employee who aims for a career path in human resource management is more likely to receive training in this area to improve his performance and support his career development as a potential HR manager. In addition, Walmart’s recent partnership with American Public University (APU) also supports career development. In this partnership, APU gives academic credits to Walmart employees for their work at the company. One of Walmart’s goals in this partnership is to improve employee morale and ensure the development of their knowledge, skills and abilities specific to retail business. In this regard, though such partnership with APU, the firm addresses human resource management goals in employee motivation and career development in the retail industry. Basic Pay. Walmart is known for low prices and low wages. These low wages are frequently criticized for inadequacy in supporting employees’ needs. At present, the company’s minimum hourly wage is $7.25, which is significantly below the national average of $9.93. However, Walmart is reforming its human resource management. As such, the firm plans to increase its minimum hourly wage to $10.00. This new minimum hourly wage will set Walmart at the level of other retailers, such as Gap, which currently uses a minimum hourly wage of $10.00. Also, Walmart plans to increase managers’ minimum hourly pay to $10.90 in 2015. The company’s human resource management expects that these changes will improve the workforce, especially with regard to employee retention. Walmart maintains employee motivation through these benefits. The health insurance plans include, among others, a vision plan, dental plan, life insurance, accidental death & dismemberment insurance, and accident insurance. These benefits address the human resource management goal of employee retention. Incentives. Walmart offers many incentives for its workers. For example, the company gives recognition to high-performance employees. The optional APU credits are also incentives to motivate workers to improve their knowledge, skills and abilities. Walmart employees can improve their performance and plan a long-term career though continuing education with APU. These incentives address the human resource management objective of motivating workers, especially in aiming for promotion and contributing more to Walmart’s success. Alfes, K., Shantz, A. D., Truss, C., & Soane, E. C. (2013). The link between perceived human resource management practices, engagement and employee behaviour: a moderated mediation model. The international journal of human resource management, 24(2), 330-351. Binyamin, G., & Carmeli, A. (2010). Does structuring of human resource management processes enhance employee creativity? The mediating role of psychological availability. Human Resource Management, 49(6), 999-1024. Buller, P. F., & McEvoy, G. M. (2012). Strategy, human resource management and performance: Sharpening line of sight. Human resource management review, 22(1), 43-56. Ferguson, K. L., & Reio Jr, T. G. (2010). Human resource management systems and firm performance. Journal of Management Development, 29(5), 471-494. Halzack, S. (2015, February 19). Wal-Mart to raise pay for 500,000 workers. The Washington Post. Jiang, K., Lepak, D. P., Han, K., Hong, Y., Kim, A., & Winkler, A. L. (2012). Clarifying the construct of human resource systems: Relating human resource management to employee performance. Human Resource Management Review, 22(2), 73-85. Muethel, M., Gehrlein, S., & Hoegl, M. (2012). Socio‐demographic factors and shared leadership behaviors in dispersed teams: Implications for human resource management. Human Resource Management, 51(4), 525-548. Nassauer, S. (2015, June 2). Starting Pay for a Wal-Mart Manager: $10.90. The Wall Street Journal. Shantz, A., & Latham, G. (2011). The effect of primed goals on employee performance: Implications for human resource management. Human Resource Management, 50(2), 289-299. Tooksoon, H. M. P. (2011). Conceptual framework on the relationship between human resource management practices, job satisfaction, and turnover. Journal of Economic and Behaviors Studies, 2, 41-49. Wal-Mart Stores, Inc. (2015). Benefits – Walmart Careers. 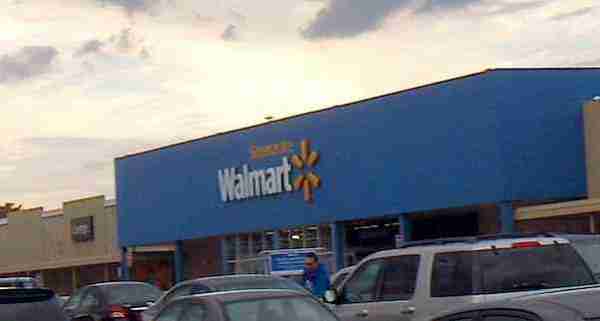 Wal-Mart Stores, Inc. (2015). Walmart Form 10-K, 2015. Wal-Mart Stores, Inc. (2015). Walmart Human Resources. Wal-Mart Stores, Inc. (2015). Walmart’s Official E-commerce Website. Wohl, J. (2012, November 11). Wal-Mart employees to pay more for health care plans. Chicago Tribune.